Running concurrently with Edmund Clark’s In Place of Hate exhibition at the Ikon Gallery in Birmingham in 2017-18 was the first UK exhibition dedicated to the work of Thomas Bock. Bock was a miniature painter who found himself sent to Tasmania (then known as Van Dieman’s land) for fourteen years. His crime, as cited in the exhibition guide, was ‘administering concoctions of certain herbs…with the intent to cause miscarriage.’ A crime we might now consider obsolete (although the specific details seem intentionally vague), Bock is presented to us in the exhibition via the painstaking detail of his artwork consisting predominantly of miniature sketches and paintings. What is most interesting perhaps is the role of anthropologist he assumes via the sketches he undertakes of aboriginal subjects. Not so much a reversal of the gaze that tends to be cast upon the figure of the convict but more a refraction of that gaze. The exhibition is keen to present Bock’s paintings as evidence of his ability to identify with the aboriginal population particularly those who agreed to sit for him. These artworks are given a central focus in the exhibition and it is difficult not to be seduced by the minute level of detail in these images. While landscapes and architecture also feature in the collection, it is the portraits on blank backgrounds which provide most of the material on display. The choice of framing these in a uniform manner around the space of the gallery also allows for an interesting flattening of the different subjects. The uniformity of the presentation also allows for the specific detail of the individual sketches and paintings to come out more forcibly in a way that might perhaps contest attempts by Western anthropologists at the time to produce uniform records of convicts and indigenous populations alike. Presented on a sidewall using the same framing as the other artworks is Bock’s colour chart. Not only does this offer some fascinating insight into his method and process as an artist but again seems to provide a counterpoint to the dehumanizing measurement tools used by anthropologists at the time to document different criminal ‘types’ and construct racial profiles. Bock was immediately employed on his arrival in Australia as a bank note engraver. He was also involved in other official commissions including portraits of captured bushrangers before and after they were hung. Wealthy colonists also often commissioned him to undertake portraits of their families. It is clear that his craft provided the means to survive transportation but also allowed him to navigate a whole series of different groups and hierarchies within the space of Australia as both penal colony and occupied territory. For more of the images presented in the exhibition see the Guardian review. 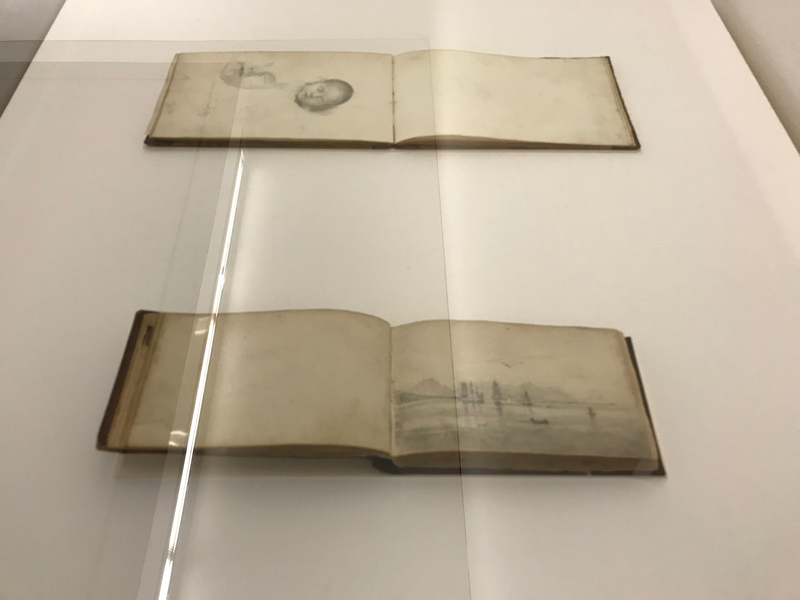 For an interesting discussion about the juxtaposition of the two exhibitions in the space of the Ikon gallery see Khadija von Zinnenburg Carroll’s article.